In one week I visited Hong Kong and Dubai, both free trade and faith ports, both commercial cities, known for their huge shopping malls. Malls, where brands expose their goods in bright lights, with the same names popping up everywhere, advertising ‘must have’s’ ‘to be’ unique. The more they shout, pop up, and augment their size, price and amount, the less authentic they are. Is the end of the shopping in sight? 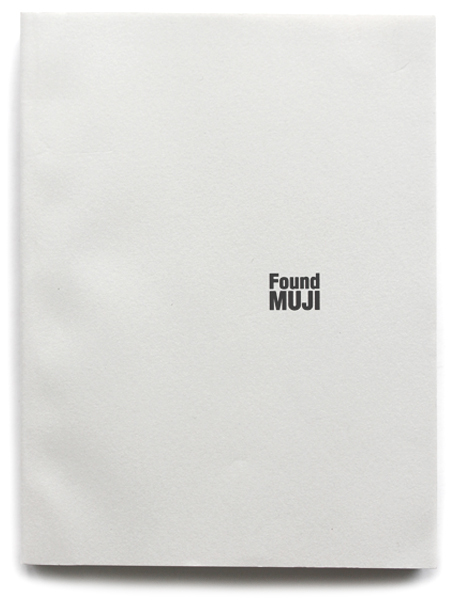 This 458 pgs thick Muji pictorial book, on recycled paper, with found objects and true values of things buried or difficult to see, is the only thing I bought. No malls for me, instead I went for soul shopping and art hopping. Visiting Art Basel Hong Kong, Art Central, Art Dubai, Sikka, Sharjah Biennial and Dubai Design Week. Nourishing my soul at new artistic hubs in Hong Kong like Chai Wan, Fo Tan, Wong Chuk Hang and Sheung Wan. Where old industrial buildings are turning into cultural hot spots. Not all new is better though, next door from Duddell’s, a great art-house meeting place, I found one of the best expo’s in town, the Zero- and Zenlike white solo show by artist Stella Zhang Shuang at Galerie du Monde, one of the oldest galleries in town. While Hong Kong is building the world’s biggest art venue on a 40 hectares Kowloon waterfront, the West Kowloon Cultural District, Dubai doesn’t stay behind with a new Design District on it’s way and the Al Quoz arts area, with Alsekar Avenue, founded by Abdelmonem Alsekar, trebling it’s initial size this year. From trade to create, both commercial cities are heading to become melting pots of artistic initiatives. Soul shopping is not about buying, but about being inspired, linking old with new, creating new connections, exchanging ideas and finding value, where you least expect it.